Crossbreeds are more popular now than they ever have been. Although it is fair to say that since the early 80s when they first started to gain prominence, popularity for these hybrid or designer dogs has not really lessened. If anything, it has risen and risen. The Jug is generally considered something of a newcomer to the world of dog crossbreeds – a blistering ball of energy that results when you breed a Pug with a Jack Russell Terrier. However, the breed is thought to have been in development since the 60’s. 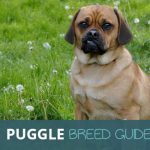 Breeding is never an exact science, but generally speaking, Jug’s inherit most of the best mental and physical qualities of their parent breeds. If you are a newbie to the world of dog ownership, a Jug may be a great choice as your first dog. If you live in town, as long as you know that they do require a lot of exercise and attention; because a Jug that takes on more of the calmness and relaxed nature of the Pug. However, it is just as likely, if your Jug has more of the Jack Russell about him or her, that they will find living in an inner-city property hard. 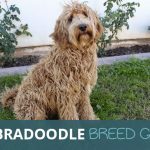 Let’s look at this breed in more detail. Other extremely popular crossbreeds available at the moment tend to have a relatively short history, whereas Jugs are thought to have been around since the 60s. The idea behind breeding these two types of dog together was to retain a Pug’s basic features with a longer, though only slightly, nose to eliminate or lessen at the very least the breathing problems associated with Pugs. It is also seen as successful if resulting Jug pups are less boisterous and highly strung than the fox chasing terrier side of their parents, with a lot more of the Pug’s loving lapdog personality. With that point in mind, Jugs are considered to be reasonably good choices for families. Even if they do not require quite as much activity and stimulation as the average Jack Russell, the fact is that most dogs do and you need to factor that into your decision about getting one. One thing is for sure though, if you are intending to invest in a Jug puppy, you need to make sure you source one from an experienced breeder with a good reputation. 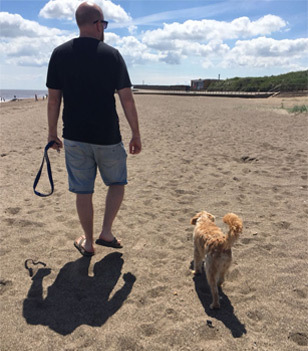 There is a problem right now with dog shelters being full of unwanted dogs, but unless you can find out as much as possible about a Jug’s past; going down the breeder route might be the safest option. So, we’ve established some basics about the Jug. but, what is it actually like to live with one? Keep reading to discover more about this incredibly handsome and generally friendly breed. Jack Russells are persistent and highly strung, while Pugs are calmer and more reserved. Both breeds are friendly, which is why, regardless of whether a Jug has more Jack Russell or Pug in him or her, they still make for a great companion dog. They are highly intelligent and therefore, easy to train if you are consistent. As Jack Russells and Pugs are both small dogs, Jugs tend to be small too. On average, you can realistically expect a jug pup to be between 25 and 36 cm tall and 5 to 7 Kg, whether it is a male or female. To the dog lovers on our team, it seems unlikely that anyone would find a Jug difficult to fall in love with and take on as their companion, but perhaps we are biased. While it is true that they are, for the most part, less hassle when it comes to grooming; if they inherit their coat from the Pug side of their parentage, they may shed fur regularly. The pros and cons above are not designed to put you off owning a Jug. They are there to make sure you have a better idea of what you might be getting yourself in for if they are the breed you choose. The only real similarity that Jack Russells and Pugs always share is their height. In terms of their general appearance beyond their size though, they are very different. As a result of this, there is quite a rich variety in what Jug puppies will look like. Even from the same litter, you can have a lot of variety. Usually, though, they are chunkier and more robust than a Jack Russell, but not nearly as stocky and wide as a Pug. Their heads are normally very broad and their muzzle tends to resemble the more tapered and elongated (and preferred) one of a Jack Russell, but can often be blunt and very short like a Pug. The rougher coated and smooth coated Jugs you can have are both generally low maintenance with regards to grooming. However, with crossbreeds, it is often a pot luck as to what kind you get. At the very least, you will need to brush their coat once or twice a week and you need to be aware that they shed throughout the year, though it tends to be more so in spring and autumn. It may only be necessary to groom them more frequently during those times. Jugs have a tendency to develop weepy eyes and as a result, it is crucial to give their eyes a wipe using a soft and damp cloth on occasion. You will also need to regularly check their ears and clean them if they need it. As with most low maintenance dog breeds, you can handle much of the grooming of your Jug yourself. It can be a nice treat for both you and your dog though, to take them along to a professional. Pugs and Jack Russells couldn’t be more different, temperament-wise. Jack Russells are hard working, intense dogs that have a seemingly boundless amount of energy and strong instinctive prey drive. Pugs, however, are the exact opposite and often clownish, affectionate and very calm. in most cases, cross-breeding between these two breeds produces an energetic and courageous companion that is very loving and genial. However, Jugs do not tend to lose the instinctive prey drive of the terrier side. This is why it is not advisable to leave your Jug unsupervised off the leash or even in the garden on their own unless it has suitable fencing and gates. With good training and early socialising, Jugs are loving and friendly towards people of all ages and even other animals, though they might have that instinctive urge to chase someone if it runs away. 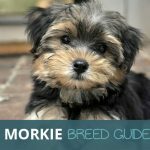 It is all very well to read guides like this one about particular breeds. However, the best way to find out what it is really like to live with a Jug is to speak to those who know best – Jug breeders and owners. Because they are highly intelligent and require adequate exercise and stimulation, it also means that they are eager to learn and trainable. With this in mind, let’s discuss Jug training in more detail. Like many terrier cross and pure breeds, Jugs are exceptionally intelligent; which is good, but also means you need to be on the ball with their training as soon as you take your new pup home. Consistency, as you may guess, is crucial. You need to show your Jug that you are boss and where their place is in the pack. Jugs are a bit like children – they will always test the boundaries and limits as part of their learning; however, this can also be a sign that they are making a bid to prove they are more dominant in the pack. Begin their training as soon as you can and even consider enrolling your pup into an obedience class after they have received their full vaccinations. As well as getting professional assistance in those vital early stages, it is also a good way to socialise your dog. Most owners have their own approach to training and that is okay because you need to find a method that works for both your own personality and your dog’s. That being said though, there are some things you should and shouldn’t do. To ensure you get things off to the best start possible, we compiled a list of things you should and shouldn’t do when training your Jug. Shouting at your dog – There is no dog breed that really responds well to shouting, least of all a Jug which can be quite sensitive. Raising your voice occasionally can be acceptable, but bellowing at the top of your lungs could actually be detrimental to progressing with your dog’s training. Reacting physically – Dogs can be frustrating at times, especially when you are trying to train them. However, it is never okay to raise your hand or fist to a dog. A light tap can sometimes be a good way to nudge them in the right direction, but anything more is not good at all. Locking them in a room or cupboard – Just don’t ever do this – it is cruel and you can get into serious trouble about it. Even if you only mean to leave them locked up for a few moments or a short while, it is not good for their psyche and can lead to them suffering from separation anxiety. Socialise early too – Normally, Jugs are friendly and jovial around both humans and other animals. As they have that terrier heritage though, they inherit the strong prey drive we spoke of earlier. This can cause problems in dogs that are not adequately socialised. Be Firm But Keeps Things Positive – As we mentioned further up, Jugs are a lot like little children. They want to make you happy ultimately, but that doesn’t mean they won’t try and push your boundaries and test the waters to see what they can get away with it. If they are allowed to do this too much, they could start to feel like they are in charge. So you need to be firm with a Jug, but understand that they want to please you and always be ready to commend them when they do something right. Always Have Treats to hand – Treats are a key component to any successful training regime. While we would recommend that you avoid giving him or her too many, treats are a great motivator for Jugs to want to do better in their training. Training is often seen negatively, particularly with first-time owners. However, like many things in life, you will only get out of training your Jug, what you put into it. So, see it as a part of your journey and experience with your new friend and don’t give up. 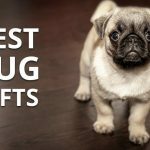 One of the key reasons, besides the merging of their personalities, of breeding a Pug and Jack Russell terrier is the hope that puppies will have longer noses that are less likely to have the breathing issues that Pugs are prone to having or developing. Cross breeding any dogs generally eliminates a lot of the hereditary health issues, but again, with regards to this and the paragraph above; nothing is completely certain. A good way to tell the likelihood that a Jug puppy is going to develop a serious health condition is by speaking to the breeder. Although it really should go without saying, it bears being highlighted that it is imperative that your dog has access to fresh water on a daily basis and is fed a balanced diet that gives him or her the nutrition and vitamins they need. If you are unsure what brand or type of dog food to give your Jug, you should speak to your breeder who will be able to give you recommendations. So, are you closer to making that decision that you want to welcome a Jug into your life to love and cherish and make lots of great memories together? That’s great. When it comes to getting a dog, there are only two options that you should consider. Getting a Jug from a pet store is not one of these. You can either seek out a reputable breeder and buy a Jug directly from them or you can head to the nearest shelter. It is incredibly admirable to want to take on a rescue dog, because we have a big problem So, by going to a shelter you are helping to give a nice little boy or girl Jug a second chance at a good life. 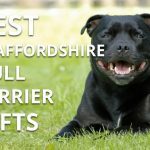 However, rescue dogs often come with their own unique challenges and it is recommended that you seek out as much information about specific dogs you are interested in rescuing – including previous owners and anything else relevant. You should also make sure you can spend a considerable amount of time with him or her to see if you are really going to be a good match for one another. The more popular, but more expensive option of the two obviously, is to get a Jug directly from a breeder. Unfortunately, even though most breeders are good people who love animals and just love bringing new animals into the world – there are some who are just looking to make a quick buck. This is why, and you may have noticed this, that we have stressed repeatedly the importance of sourcing a reputable breeder who has a good standing in the community and has a wealth of experience and knowledge about breeding. Don’t just pick the first one that you come across. Speak to people who have bought puppies from the breeder in the past. 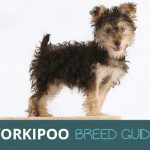 Any breeder who values their reputation and standing will not mind you asking about people who have bought from them and will also be okay about you requesting to make an appointment to visit them in their home, to meet the parent dogs and see the kind of living environment they are in. Now, Jugs, like any dog nowadays, do not come cheap. They are, however, generally speaking, less expensive than pure breed Pugs. Depending on how good a Jug they are and the breeder, you can easily expect to pay anything from £100 to about £500 for a puppy. 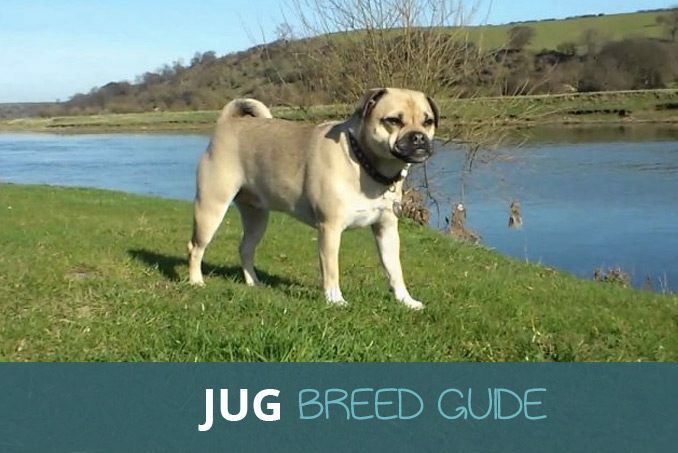 If you are not entirely convinced that a Jug is right for you or just want to widen your options a little, you may be interested in some of the breeds that are similar, either in personality or size to Jugs. Jack Russell Terriers and Pugs, as the parent breeds are obviously worth considering if you prefer any of their main personality traits or the care involved with owning one of those specifically. Pugliers and Cavalier King Charles Spaniels are similar in height; while Fox Beagles and Cavapoos are also very similar too. We hope we have been able to show you just how good an addition to your family home a Jug could be. Likewise, we hope you understand the commitment involved in taking on the ownership, care and responsibility of one of these gorgeous animals. Jugs can be a lot of hard work, but you will be rewarded richly by putting the legwork in and training from the word go and taking the opportunity to spend as much time as you possibly can with your new friend.